In these perplexing anxiety-ridden times, we are often told that what we need is good leaders. Good leaders will get us through the quagmire. But how do we tell the good leaders from the bad? How can we be sure that the ones claiming to lead us to safety through the fire, are not the very same ones who dropped the matches into the tinder in the first place? The popularity of leaders — as we are seeing more and more in countries like the US and Great Britain — is no indication of their objective merits. And, sometimes, the most honourable leaders are the ones left by the wayside, speaking too much truth to gather a following. One such leader from the Pacific passed over to the other side in June this year. Her name was Susanna Ounei. 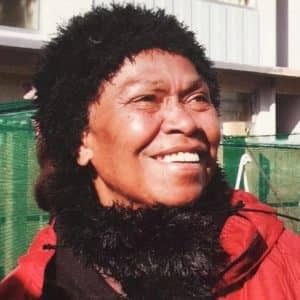 She was a proud Kanak woman, an indigenous New Caledonian who had fought for the independence of her country in the 1960s and 1970s, and who rose to prominence across the Pacific in the 1980s and 1990s as a formidable advocate for women’s rights and a nuclear free and independent Pacific. In the 2000s, she settled into a humble though still staunch existence in the bustling community of Newtown, in Wellington, New Zealand. A few weeks ago, after I shared on Facebook that Susanna had died, several friends sent me messages to say that they had just ridden the bus with her the previous week, had seen her at mass recently, or chatted with her at the bus stop. That was Susanna. Nothing pleased her more than being with “the people.” She often moved anonymously through the streets and markets of our city. She also had a phenomenal green thumb, and in her later years, enjoyed community gardening. She was a predictable presence at the many marches and demonstrations for social and political justice in the capital of this country. She reached out to many — always willing to have a conversation, especially about politics — but few would have realised that they were talking to someone who had played a significant role in the history of decolonising our Pacific. Susanna was born in 1945. She came from a family that had its roots in Ouvea, one of the Loyalty Islands in Kanaky New Caledonia. She was raised at different times in different parts of the French colony, including Wallis and Futuna. As a young woman, she joined the Red Scarves, a radical group formed in 1969, advocating for independence from France for Kanaky New Caledonia. She worked in a bank at the time, and was often the one who ended up feeding and bailing out her comrades. She organised behind barricades, stared down the barrels of guns, chained herself to fences, and composed songs when she also ended up in prison. As the movement evolved from a Front Indépendiste into the FLNKS (Front de Libération National Kanak et Socialiste), she became a voice not just for independence and socialism but also for gender justice in Kanaky. The 1980s in Kanaky New Caledonia saw a number of traumatising events — including the massacre by French settlers of 10 Kanaks at Hienghène and the murder of independence leader Eloi Machoro by police in 1984, the massacre by gendarmerie of 19 Kanaks on Ouvea in 1988, and the assassinations of independence leaders Jean Marie Tjibaou and Yiewene Yiewene by fellow nationalist, Djubelly Wea, who was likewise killed in the fracas. The 1980s were also when Susanna lived in Aotearoa New Zealand. While married to activist and academic David Small, she completed a degree in sociology at the University of Canterbury, and wrote and published several influential pieces on Kanak independence. Friends still marvel at the speed with which she developed fluency in the English language — in less than a year, she went from speaking no English at all, to undertaking international speaking tours entirely in English. 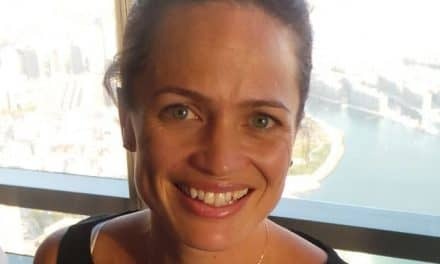 When the secretariat of the NFIP, the Pacific Concerns Resource Centre, was relocated from New Zealand to Suva in the 1990s, Susanna was appointed to its decolonisation desk. This is when I first met her. During that time she was actively involved in organising and galvanising Pacific women for the UN Conference on Women in Beijing in 1995. The late 1990s also saw France invest heavily in efforts to subvert the nationalist movement in New Caledonia. France’s success in weakening the Kanak will to independence dismayed her — and, rather than compromise her ideals, she chose to live in voluntary exile in Wellington where, for the past 16 years, she raised two children as a solo parent, battled with health problems, and yearned the whole time for her homeland of Kanaky New Caledonia. My friendship with Susanna really intensified during this time. When she was well she came to seminars and conferences at the university, and in the early days gave guest lectures to some of my Pacific Studies classes. One morning about 10 years ago, she and her daughter Jessie accompanied me and my older son Manoa to the Porirua market. As we wandered around, she spoke about how the Polynesian music blasting from speakers, and the hot round donuts, boil-up, and hot chocolate all reminded her of home. But the highlight of the morning for her was when we bumped into the late Bernard Narokobi, who was then the high commissioner for Papua New Guinea. He’d been one of only three Papua New Guineans with a university degree when Australia relinquished its colonial hold over his country. Susanna’s dream of an independent Kanaky had not been realised, but in talking with Sir Bernard, I suspected that she could see that Papua New Guinea was not quite living the dream either. The struggle for independence in the Pacific is not one that ends the day a country gets to raise its own flag. Susanna was an awe-inspiring figure, but in many ways she was so unique in her form of leadership that most people (including me sometimes) could not comprehend the power of her example. She was a true warrior woman. And that kind of uncompromising leadership — the choice to keep the struggle going, to refuse to be bought, to always pick the rough road and never the well-paved one — that’s the kind of leadership that has few followers. That is the real problem of our times. With her two children now grown and raising families of their own, Susanna often talked about moving back to Kanaky to lend a hand to the movement, especially as more and more of her former comrades began to pass away. 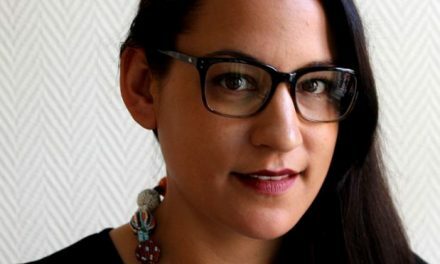 At the same time, Susanna never failed to join her voice to movements for justice here in Aotearoa — from tino rangatiratanga/Māori sovereignty, to anti-corporate globalisation, to a Free West Papua and a Free Palestine. You could be sure to see her in public demonstrations of solidarity with anyone under attack from the state, like the 18 activists and their communities targeted in the 2007 Terror Raids and the Waihopai Spy Base protesters of 2008. To honour her passing, Susanna’s children, ex-husband and close friends held a tangi for her at Taputeranga Marae in Island Bay, Wellington. 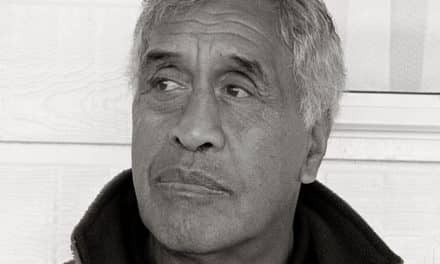 The renowned activist Mike Smith and his partner Hinekaa Mako looked after the Māori protocols for her with the warmest aroha and manaakitanga before her whānau took her back to lay her to rest in her beloved Kanaky. Moe mai rā e te wahine toa. May we never forget your example. And may we eventually find the courage to lead — whether or not we have followers. Dr Teresia Teaiwa is Director of Va’aomanū Pasifika at Victoria University of Wellington. 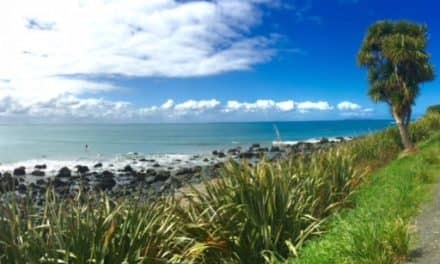 NextWill Tūhoe provide the welfare model? Thank you for sharing this story of leadership. May she rest peacefully home. Teresia, thank you again for finding the right words. It was not always easy to be Susanna’s friend and she could frustrate as often as she inspired. Susanna willingly stood up for social justice and the rights of others but she also paid a high personal price for doing so. Yet she never gave up believing a better (more fair) world is possible. I echo your thanks to Taputeranga Marae, Mike Smith and Hinekaa Mako adding Ani Crawford, Father Gerard Burns and you and your sons for helping her family and friends say goodbye in a manner Susanna deserved. Very sorry to hear of Susanna’s death. What a legacy!